(18 April 2015) Sudanese human rights defender Adil Bakheit is at risk of a politically motivated trial on baseless charges, including under the category of ‘crimes against the state’ that carry the death penalty, after his laptop was confiscated during an armed raid on the Khartoum-based TRACKS for Training and Human Development. Officers from Sudan’s National Intelligence and Security Services (NISS), armed with guns, raided the training centre on 26 March whilst it was hosting a training session on social responsibility. Participants were accused of discussing the boycott of the upcoming General Elections. Property, including four laptop computers and the central computer server, was seized. Two members of staff and a filmmaker present during the workshop have been summoned by the NISS and interrogated on a number of occasions since the raid. Adil Bakheit, a well-known independent human rights trainer, was summoned and charged by the State Security Prosecution Office on 16 April, three weeks after the raid and seizure of his laptop. The African Centre for Justice and Peace Studies (ACJPS) calls on the Government of Sudan to stop harassing and persecuting human rights defenders and civil society organisations. Human rights defender Adil Bakheit should be immediately and unconditionally released and all charges against him dropped as they relate solely to his work in defence of human rights. The Government of Sudan should further provide assurances that it will cease the harassment and intimidation of staff and affiliates at TRACKS for Training and Human Development and protect them from baseless criminal prosecution. ACJPS is concerned that TRACKS, which delivers training and rents out its facilities for training on a range of topics from information technology to human rights, may be at risk of forced closure and that its staff and affiliates are at risk of further harassment in the coming days. NISS officers, armed with guns, raided TRACKS for Training and Human Development at 2pm on 26 March whilst it was hosting a workshop on social responsibility. Participants were accused of discussing the boycott of the upcoming General Elections that took place on 13-16 April 2015. The raiding officers failed to show a search warrant or formal identification, and simply announced that they were the NISS before they proceeded to search the premises for around two hours. Property was seized, including four laptop computers and the central computer server. Officers from the NISS returned at around 6.30pm with a search warrant and stayed until midnight, photocopying office papers. The staff and affiliates of TRACKS for Training and Human Development have been subjected to repeated summons by the NISS since the raid. Two TRACKS staff members, Arwa Elrabie, (f), and Nudaina Kamal, (f), were summoned and interrogated by the NISS about the activities of TRACKS on 30 and 31 March. Although they were not informed of any charges, they were required to pay bail and present another individual as a surety, who would be liable to a term of imprisonment or a fine should Arwa Elrabie or Nudaina Kamal fail to respond to future summonses. They were summoned again on 15 April and asked to provide the full names of other people affiliated with the centre, including TRACKS Director Khalafalla Mukhtar, (m), and his brother, well-known activist and human rights defender Dr. Albaqir Afif, (m), as well as Imad Adam, (m), who was delivering the training at the time of the raid on 26 March. The three men are currently outside the country. Film-maker Abdeen Abdel-Raziq, (m), who was filming the workshop at the time of the raid, was summoned by the NISS on 5 and 6 April and ordered to provide the charger and password to his laptop which had been confiscated on 26 March. At 11am on 16 April human rights defender Adil Bakheit, (m), was summoned by the NISS, three weeks after the confiscation of his laptop that contained information related to his human rights work. He was asked about the nature of his work as an independent human rights trainer and the reasons for his presence at TRACKS on 26 March. He was charged with seven criminal offences under the 1991 Criminal Act, later the same day, by the State Security Prosecution Office. He was charged under article 21 (criminal joint acts in execution of criminal conspiracy), article 24 (criminal conspiracy), article 63 (calling for opposition to public authority by use of violence or criminal force), article 66 (publication of false news), and article 93 (impersonating a public servant). Two additional charges – under article 50 (undermining the constitutional system) and article 51 (waging war against the state) - are classified as crimes against the state and carry the death penalty. He is currently detained at Al Awasat police station in Khartoum. Adil Bakheit is a member of the Board of Trustees of the Khartoum-based human rights group, Sudanese Human Rights Monitor (SHRM), a member organisation of the International Federation for Human Rights (FIDH). He is also a well-known trainer who collaborates with civil society groups in Sudan to deliver human rights training. Staff and affiliates of the SHRM have been subjected to harassment and intimidation by the NISS over recent months. 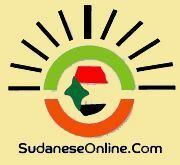 Its offices in Khartoum were raided during a workshop on the Universal Periodic Review of Sudan on 21 December 2014 and a number of laptops and documents were confiscated. The charges against Adil Bakheit and the harassment and intimidation of the staff and affiliates of TRACKS is the latest development in a growing list of prosecutions and other forms of persecution of human rights defenders and peaceful civil society activists in Sudan. Individuals and groups working on human rights issues are specifically targeted. Sudanese authorities routinely uses sweeping criminal provisions that carry heavy penalties to harass and intimidate human rights defenders and other peaceful activists from conducting work that is considered contrary to the interests of the ruling National Congress Party (NCP). The criminalisation of human rights defenders and other civil society activists is increasingly used as a means of curtailing human rights work and other peaceful activism. The operations of civil society organisations, particularly those working in defence of human rights, are severely curtailed by formal and informal restrictions, and activities are regularly subjected to cancellations following the intervention of the NISS. Whilst harassment and intimidation has increased in the run up to the 2015 General Elections, the forced closures of civil society groups and harassment of members is part of a longer term strategy, aimed at weakening civil society structures and capacity to monitor and report publicly on human rights violations taking place in the country. This in turn is part of a broader strategy implemented by government authorities to restrict the activities of political opposition parties, activist groups such as student associations, and journalists, who might publicly challenge the authority of the NCP. Immediately before and during the General Elections that took place on 13-16 April 2015, ACJPS documented a surge in human rights violations against political opposition members and other known political activists, as well as restrictions on the freedom of expression and media outlets.